You can share a different set of artifacts with each project. The project you share with will apply its roles and permissions to the users viewing the items. The project you share with will be able to view and link to these artifacts, but not change them. 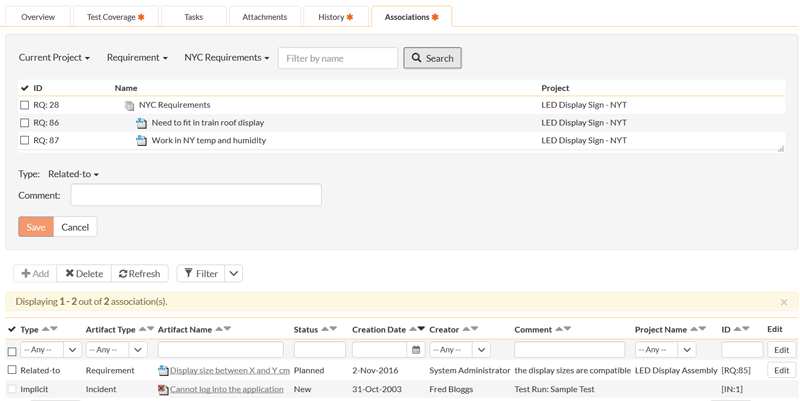 The associations can be between artifacts in the same project (as was allowed before) and also now between different projects.